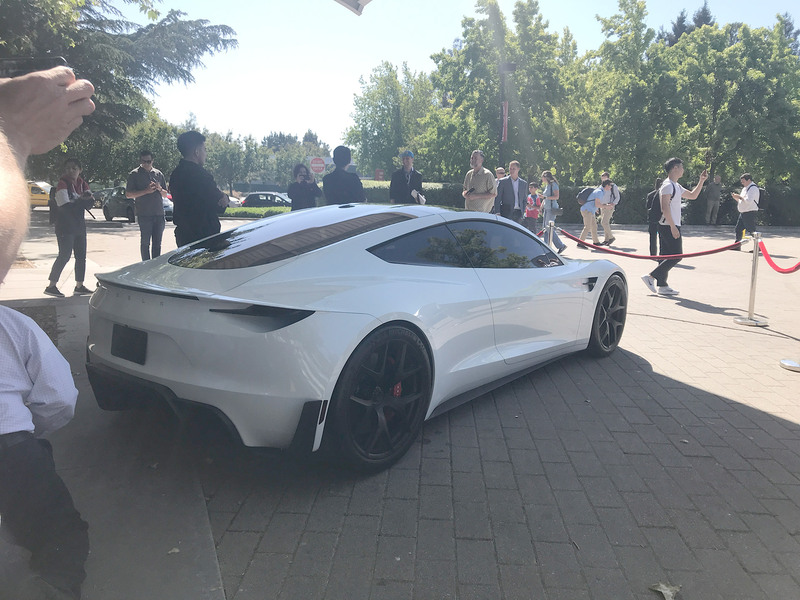 Tesla Roadster is beauty outside and beast inside — stunning looks, an expected 0-60 mph under 2.0 seconds and the price range around only $200,000 will definitely shatter the sports car segment to it’s core, even Rimac Automobili will have tough competition to face. 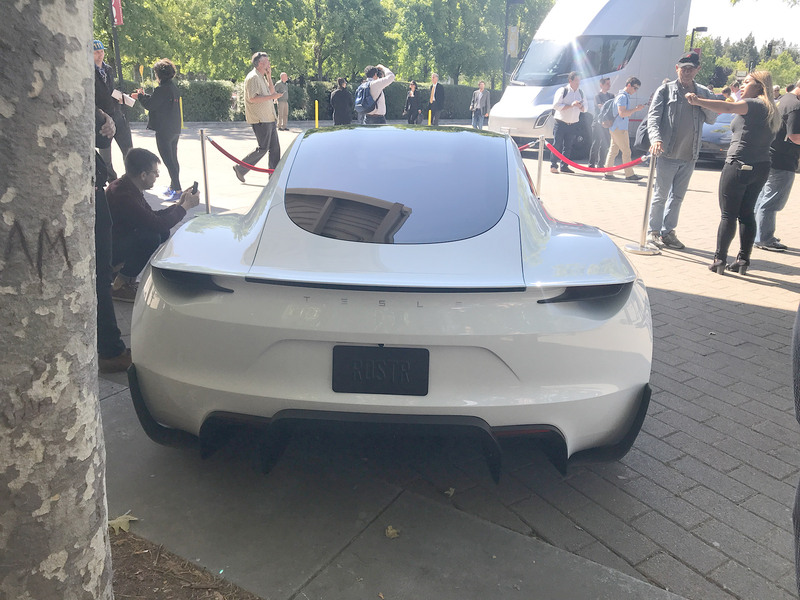 At the recent 2018 Tesla Shareholder Meeting the visitors were greeted with all Tesla vehicle lineup outside the Computer History Museum — a next gen white Tesla Roadster and the silver Tesla Semi Truck prototypes were the main attractions at the event (gallery below). 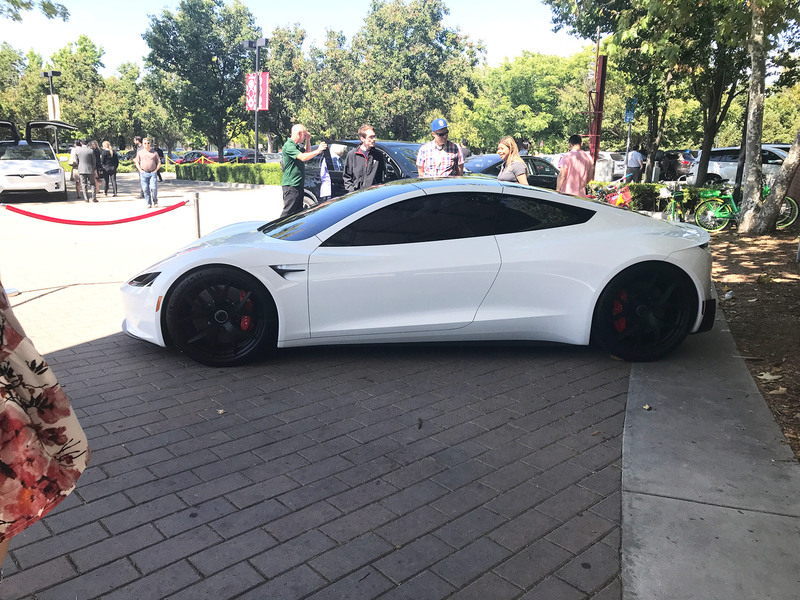 This year’s Tesla Shareholder Meeting had an overall positive impact on the company’s image and business as TSLA stock has taken a significant upwards trend. 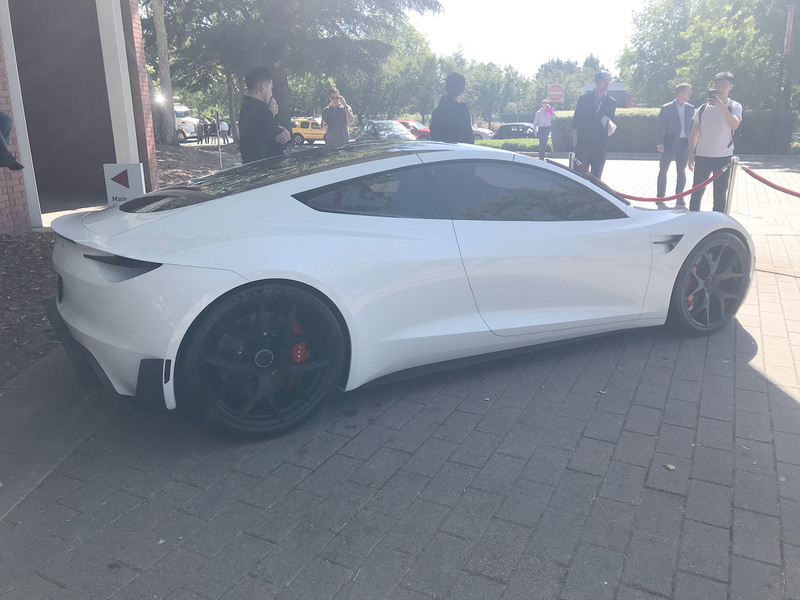 Also a new Tesla Model Y teaser image is released during the meeting becoming instantly viral and opening doors for further speculation. 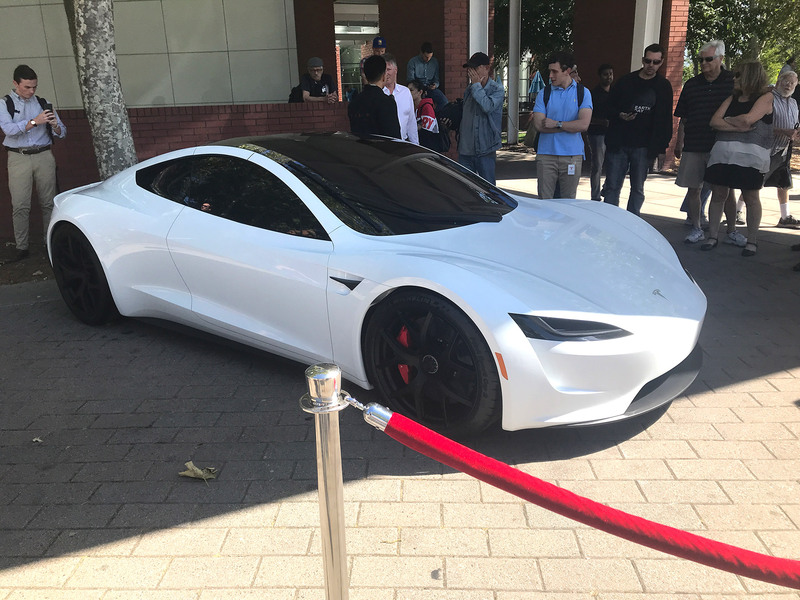 White Tesla Roadster is a new addition to previously seen Gray and Red prototypes that means Tesla is accelerating on plans of launching the Roadster in 2020. 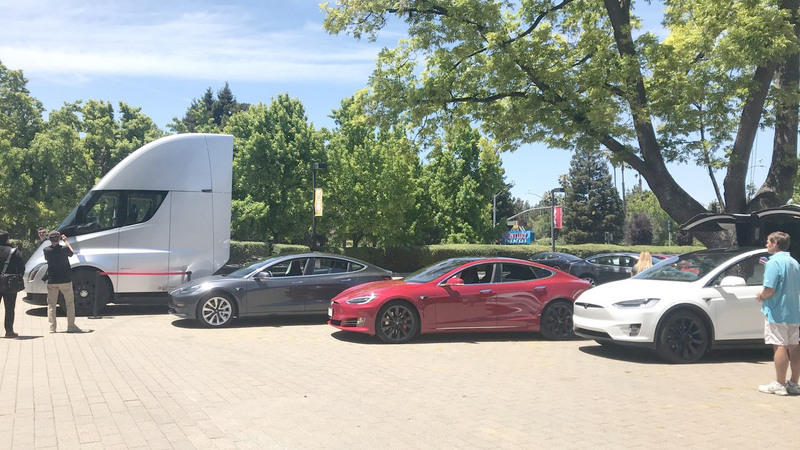 Tesla Semi truck prototypes have already been spotted several times delivering battery packs from Gigafactory in Nevada and Tesla car factory in Fremont, CA. 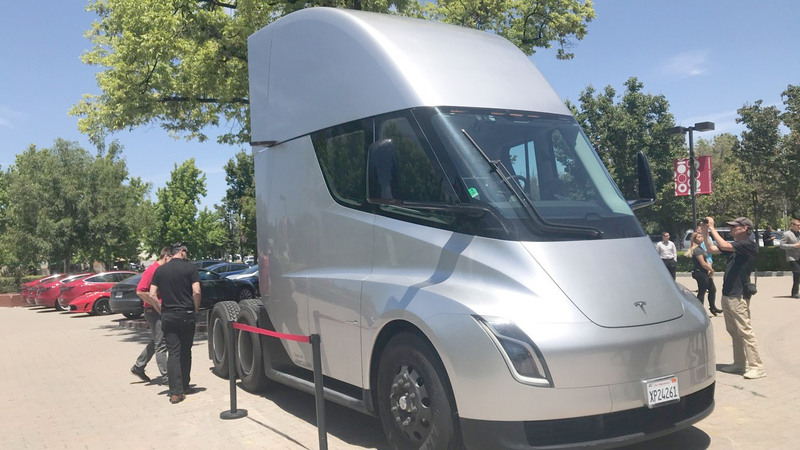 With over 600 Semi truck orders in the bag Tesla is already giving tough time to the traditional truck manufacturing industry and ‘defying the laws of physics’ according to Daimler CEO with a 500+ mile all-electric range. 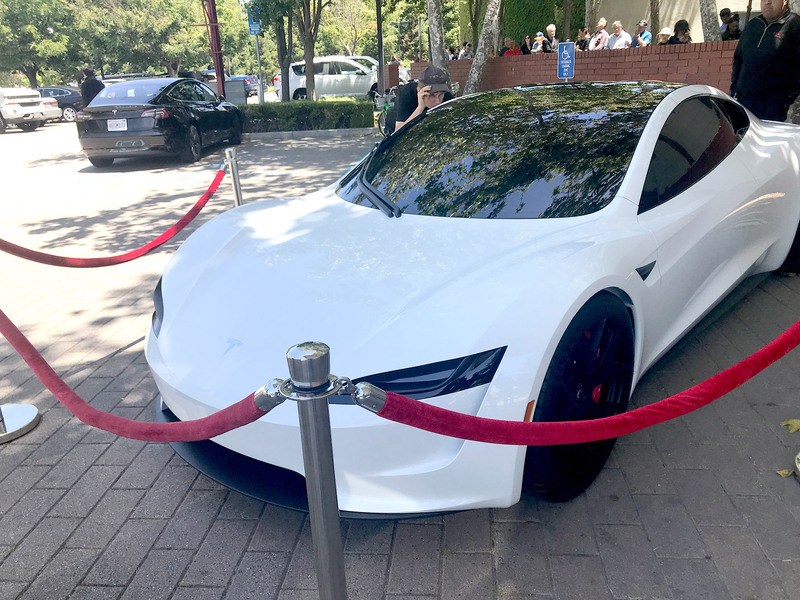 Let’s enjoy the photo gallery of both of these groundbreaking electric vehicles — many thanks to S. Walker for providing the high-res pics on our request and going all the way to even emailing them to us. * Click/Tap images to zoom-in.